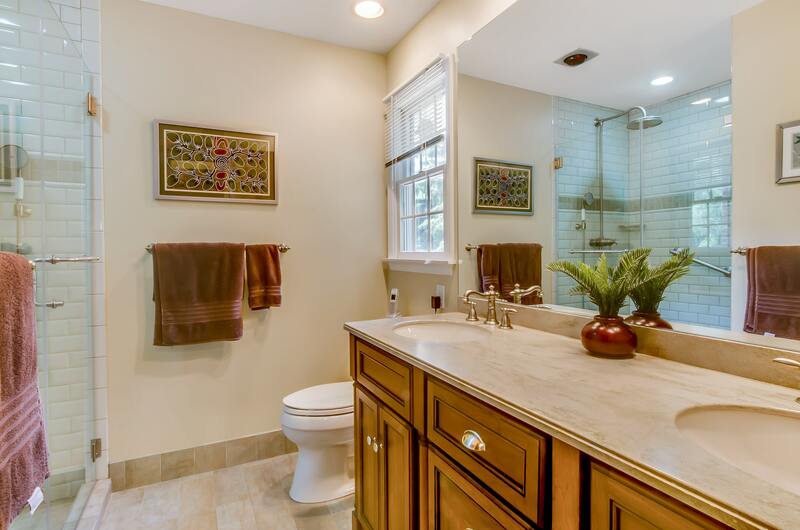 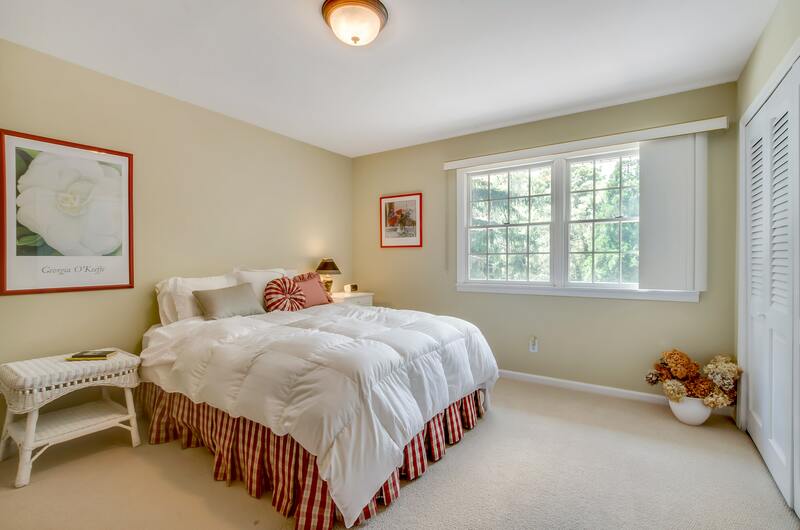 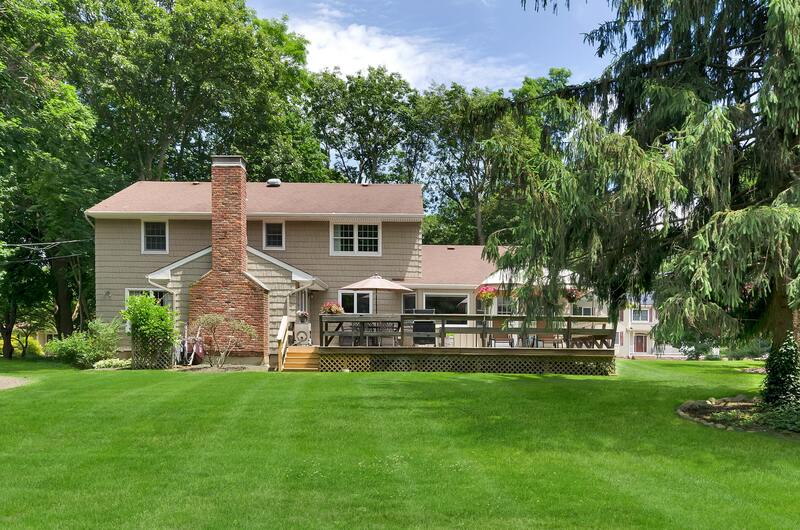 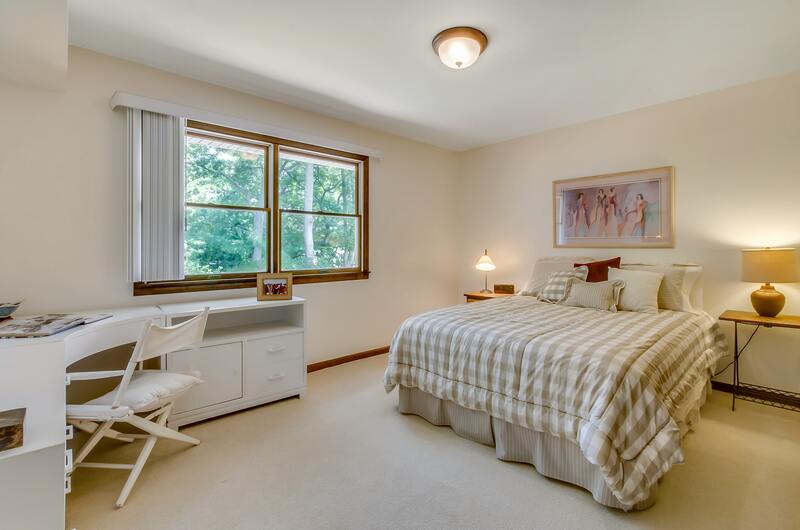 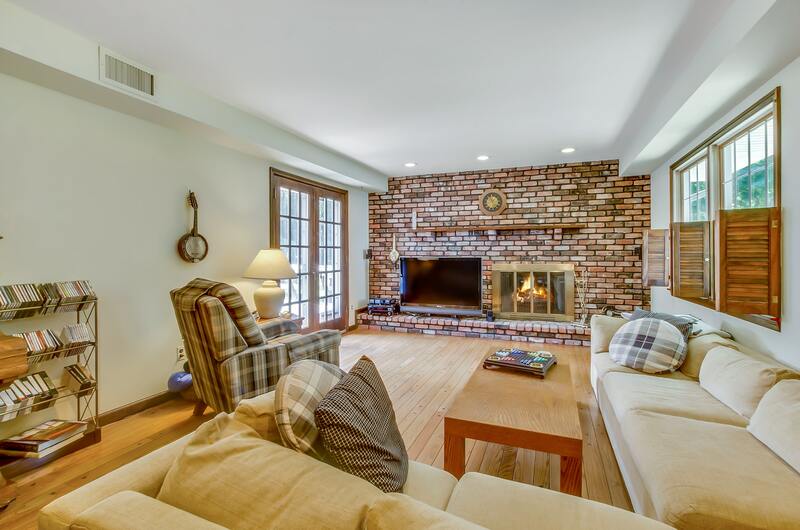 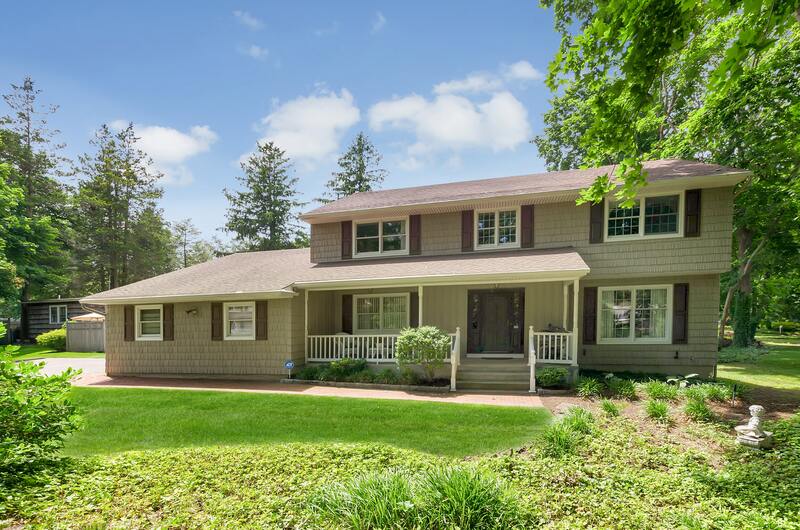 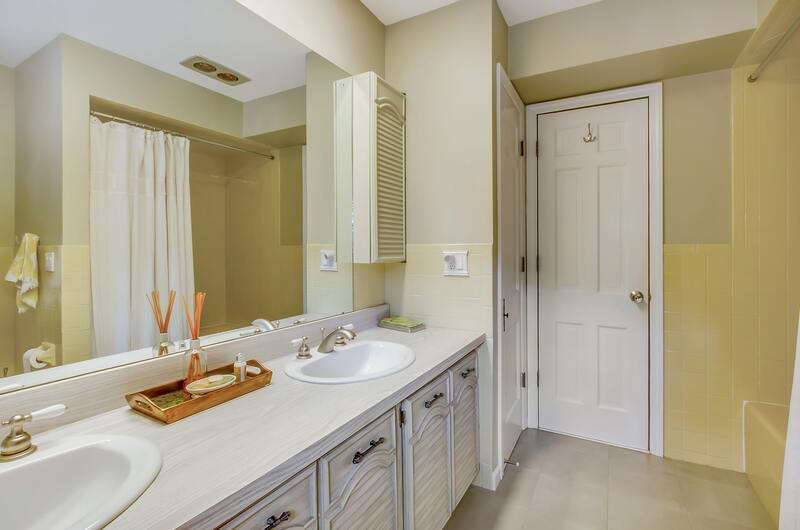 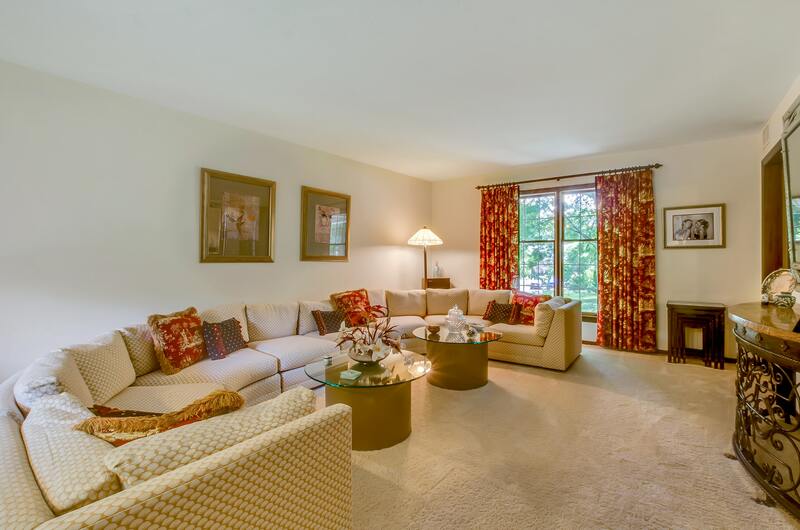 Quality built 2880 square foot 4 bedroom/3 bath colonial features clean neutral palette, large bright rooms, ample storage, newly updated master bathroom, and main level laundry. 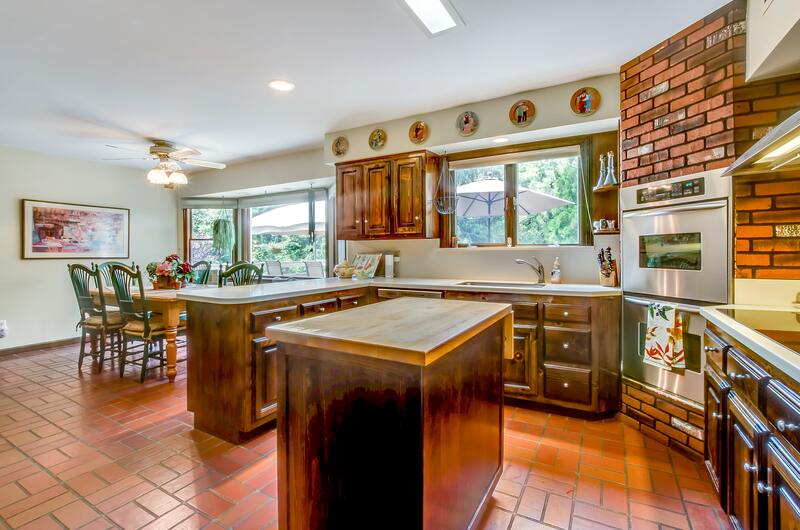 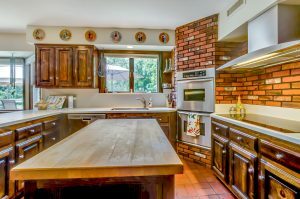 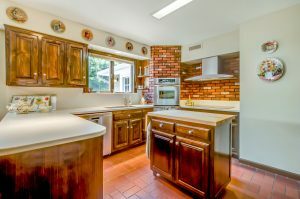 Your inner chef will LOVE the huge eat-in kitchen fully equipped with newer stainless steel Sub Zero refrigerator, and KitchenAid dishwasher, microwave, double wall oven, and five burner cooktop, pantry, and center island. 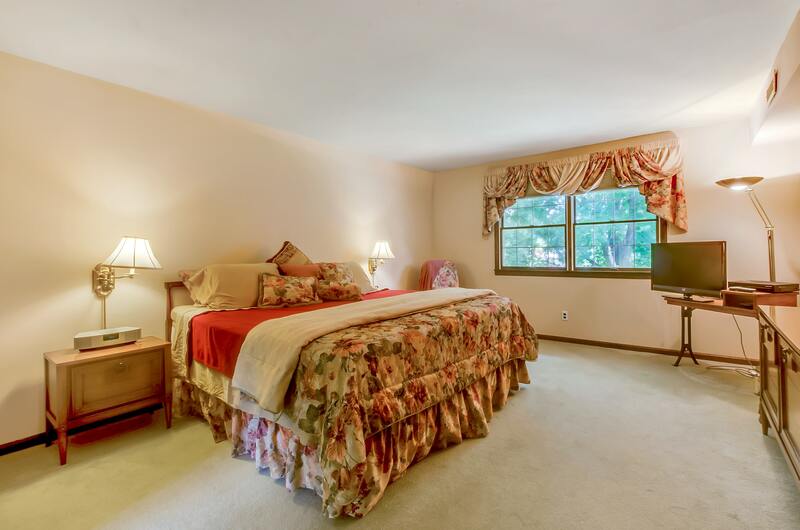 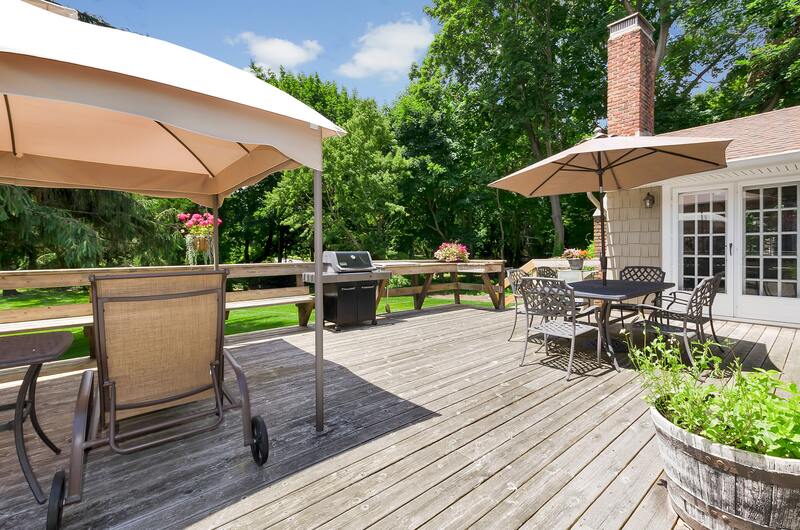 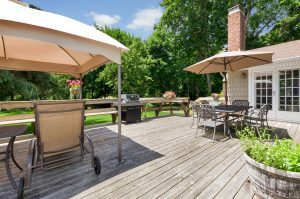 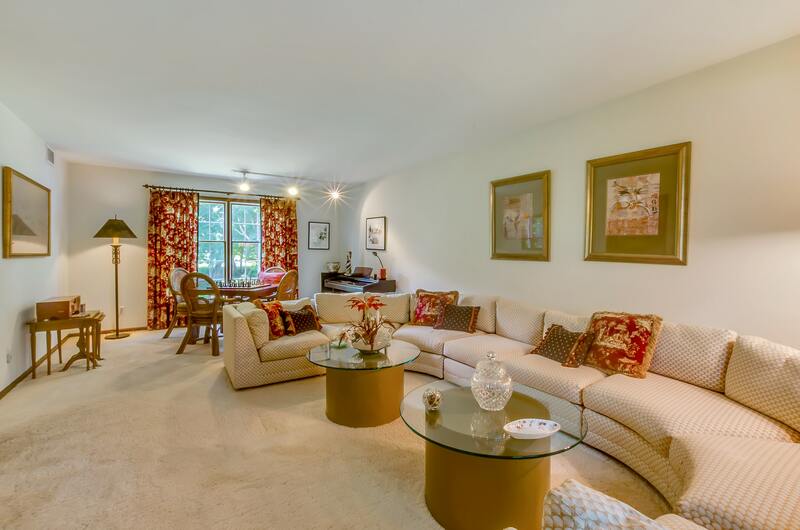 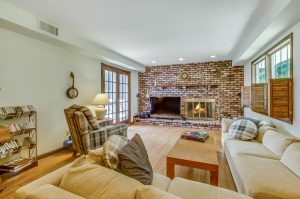 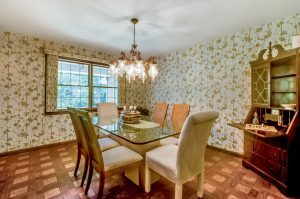 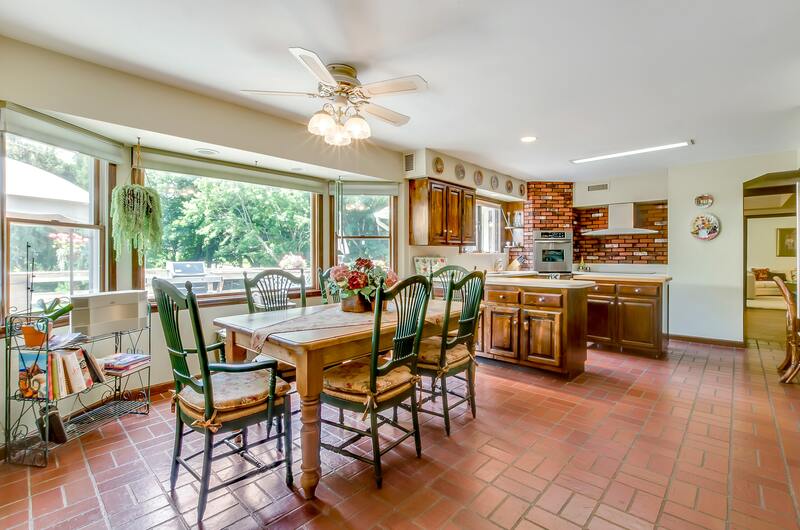 Enjoy a meal in the sunny breakfast area overlooking .45 acre flat backyard with large wood deck. 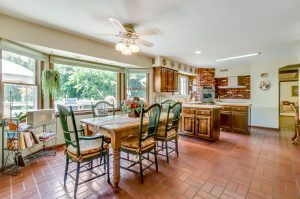 The main level also hosts a dining room, living room, and den with fireplace, a full bathroom, and laundry room with slop sink. upstairs you’ll find a master bedroom with dual closets & full bath updated with frame less glass shower, double vanity, and Kohler Fixtures. 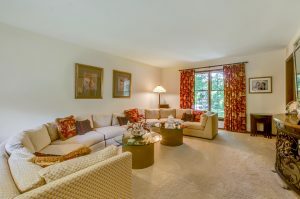 An unfinished lower level features extended height ceilings, and exercise studio equipped with ballet barre and mirrors. 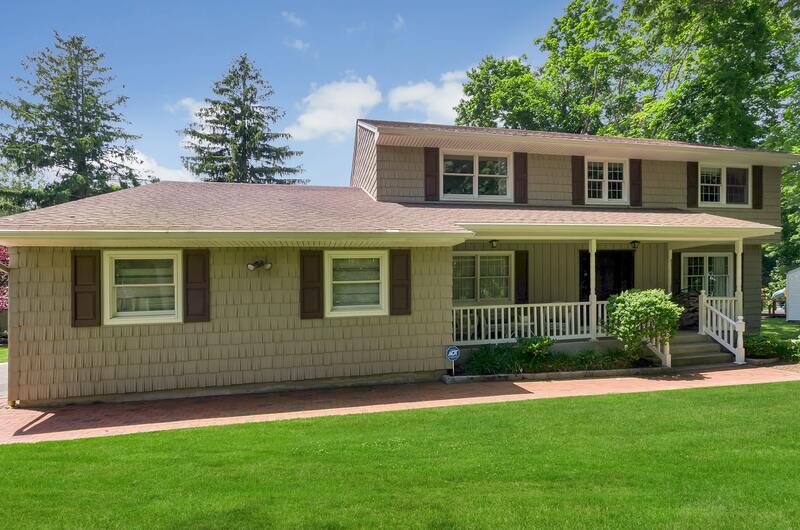 Systems: Newer Oil/Hot air heat, newer central air, 200 amp electric, front & back in-ground sprinklers, updated below grade cesspool, double 250 gallon oil tanks, gas line on street for future conversion, half inch sheetrock & plywood throughout house. 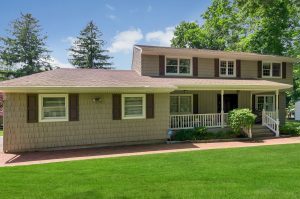 TONS OF CURB APPEAL: Maintenance free exterior with new insulated vinyl shakes, Architectural Roof, Andersen Windows, covered front porch.